Pansion Villa Cardak, centrally situated in Mostar within 100 meters from the UNESCO-listed Old Bridge. It is surrounded by a peaceful atmosphere and away from the crowded parts of the Old city. It is very close to the famous cold river Neretva and the river Radobolja. The restaurants, souvenir stores, the museums and other attractions one can enjoy in, Black Dog Pub, all depending on the preferences, are only a few minutes walk from the pension. With a friendly atmosphere, there are kind hosts at your service. please note if you need reservation for parking place. 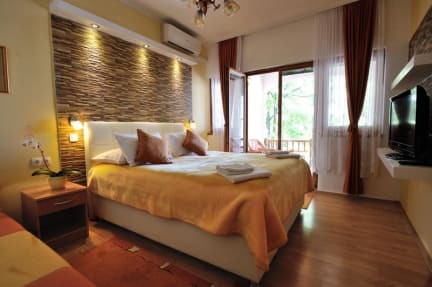 The owners of the pension also organize trips around Mostar and transport for their guests.